The Team from “International Bund” from Götting is interviewed by Ulrich Walter (left) from Arno A. Evers FAIR-PR. Here different approaches could be seen, how to qualify handicapped people. 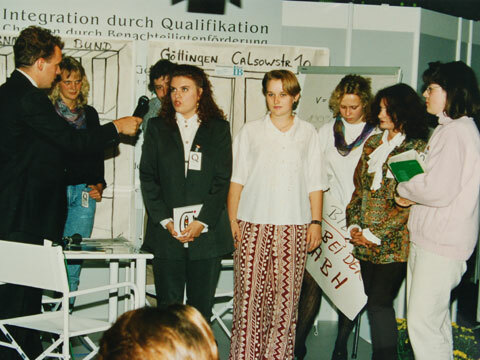 The Team from “Jugendaufbauwerk, Berufsförderungsstelle“ in Berlin together with Arno A. Evers (left). 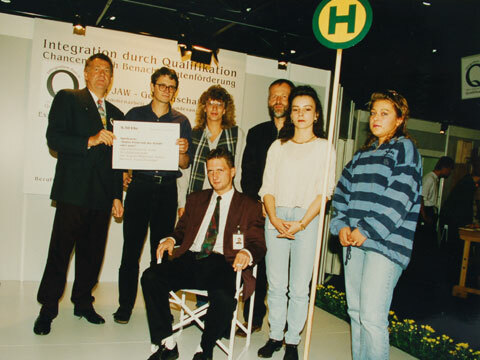 At the “Integration through Qualification” event at the “Qualification`95”, different approaches could be seen, how to qualify handicapped people.